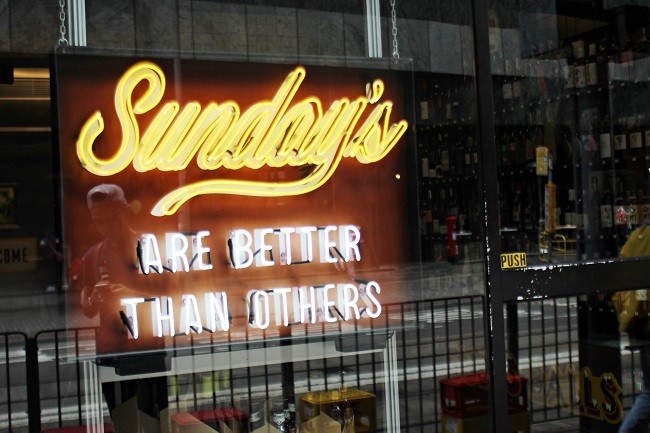 [Hong Kong] Conceptualised by the team behind Yardbird – the hip Japanese yakitori and izakaya joint, is Sunday’s Grocery. 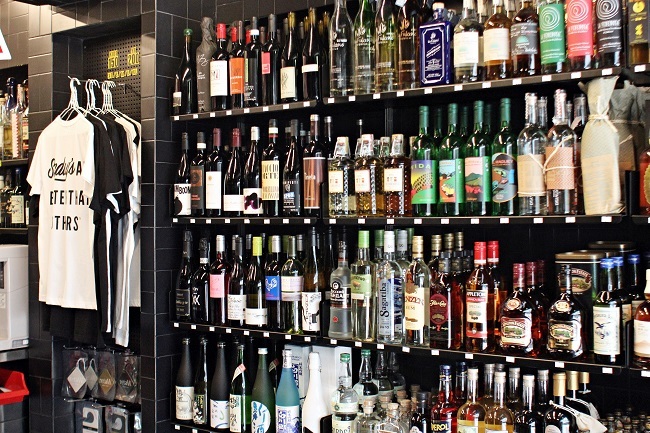 Located at Kennedy Town, they brand themselves as a liquor store, curated convenience store and a takeaway sandwich store all housed within a neighbourhood grocery shop – an up-class one indeed. 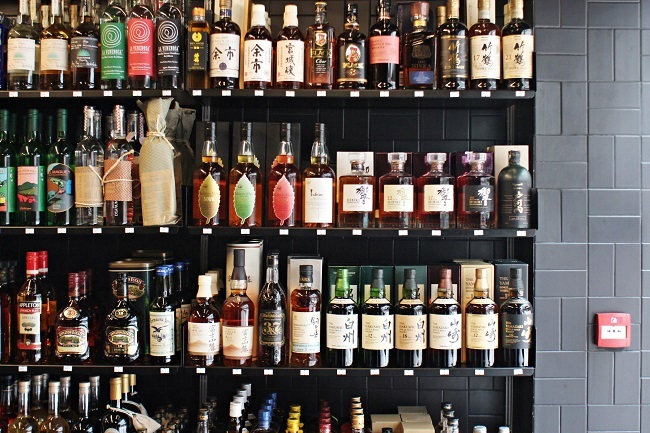 The first thing you would notice upon entering this store is the rows and rows of bottles of liquor, ranging from Japanese whiskey to Jamaican rum. Never knew they were THAT serious about their alcohol. 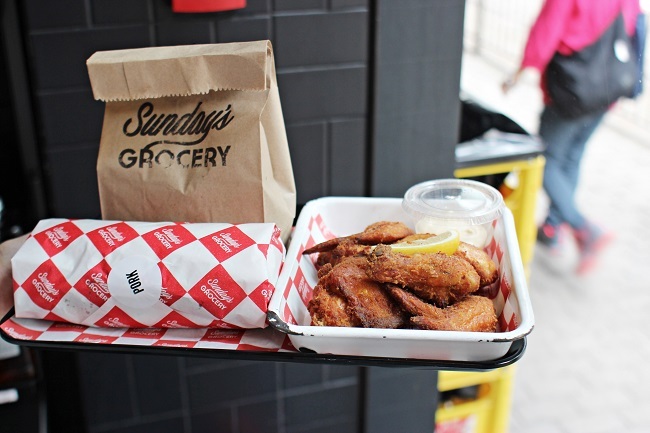 Since Sunday’s Grocery acts more like a takeaway joint, there are no seats within the store itself where you can sit and enjoy the meal which makes it quite the hassle. You can either: a) Stand and eat at a small counter table in the store, b) Sit on makeshift crates outside the store or c) Take-away your food. From the deli menu is the Fried Chicken which you can select from either the regular or Korean flavour (HKD$110, SGD$20, with one side HKD$140, SGD$$25.50, with two sides HKD$170, SGD$31, with three sides HKD$200, SGD$36.40). 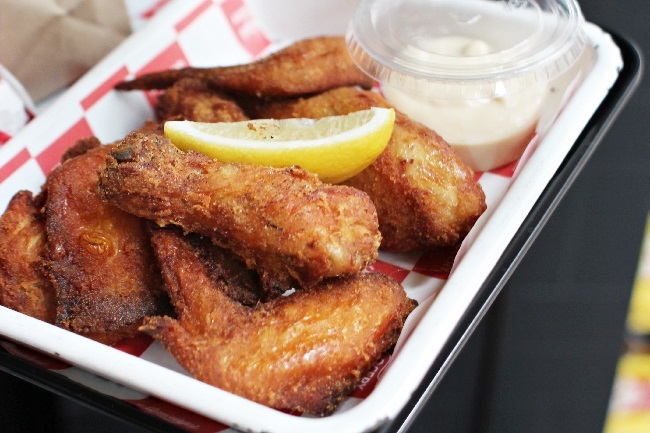 The Original Fried Chicken had a crispy exterior with rather juicy chicken meat on the inside. Among the sides of market chips, vegetable sticks, pickles, hummus, coleslaw and chickpea salad, we chose the market chips to go with our chicken and they turned out to be strangely addictive. The saltiness of the crispy fried root vegetable chips together with the sweet Okinawa black sugar drizzled on them made an unexpectedly good combination that kept us going for more. 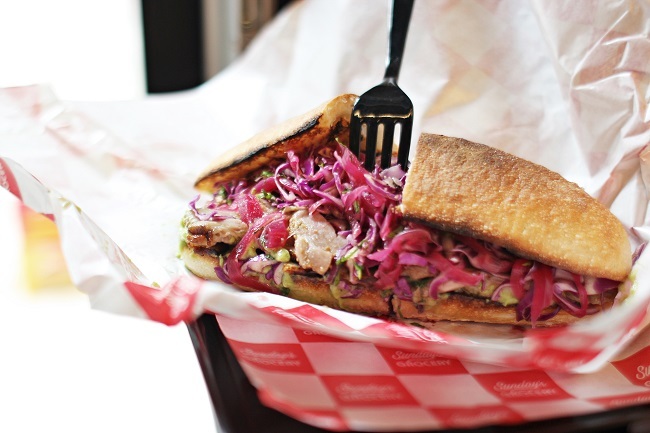 Apart from their Fried Chicken, their specialty sandwiches are also highly recommended. 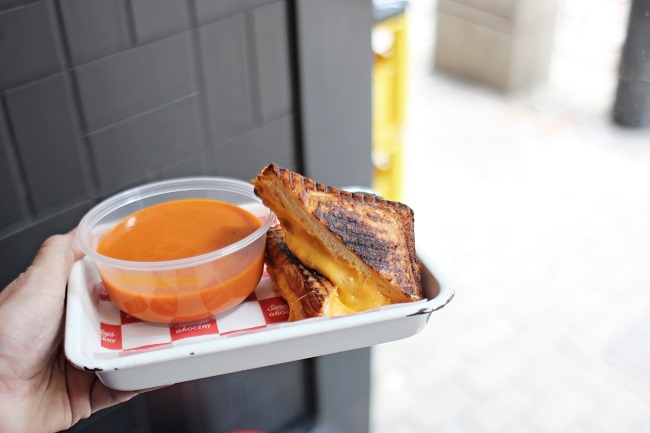 Current options on the menu are Chicken Schnitzel, Roast Pork, Banh Mi, Katsu Sando, and Grilled Cheeeze with Tomato Soup. We tried the Roast Pork sandwich (HKD$80, SGD$14.60) and it was definitely one of the better ones we have had. 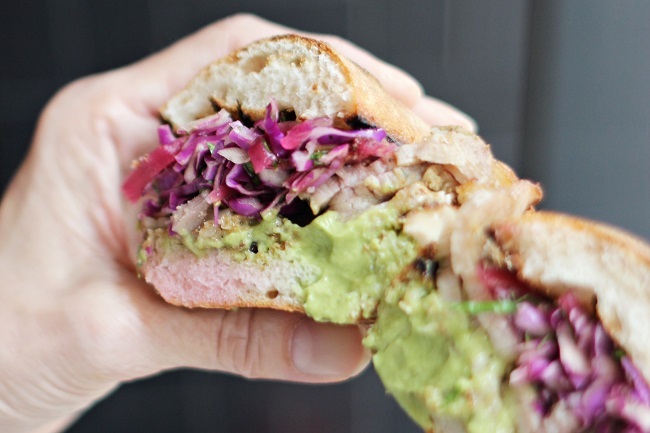 The slices of cumin yuzukosho roast pork were tender and juicy with hints of zestiness, accompanied with avocado, pickled red onion, red cabbage, watercress salad. Meanwhile, the Grilled Cheeeze Sandwich (HKD$80, SGD$14.60) is a less heavy option for breakfast. The melted cheese sandwich may be grilled to perfection but comes off as a pricey. The Tomato Soup served on the side was too salty for my liking as well. Despite the more exorbitant prices for a takeaway deli, what charms us about Sunday’s Grocery is the quality and freshness of their produce. What a gem in Kennedy Town!